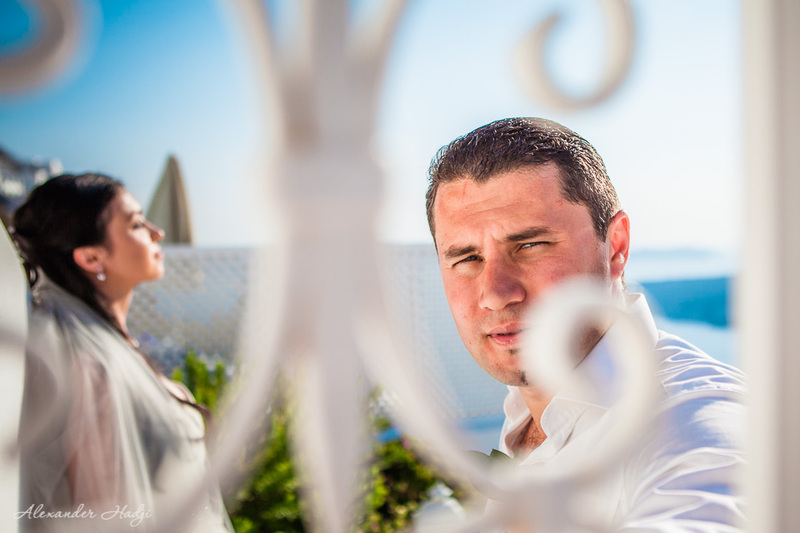 This is a story on the Santorini wedding photo shoot for a beautiful couple from Russia. 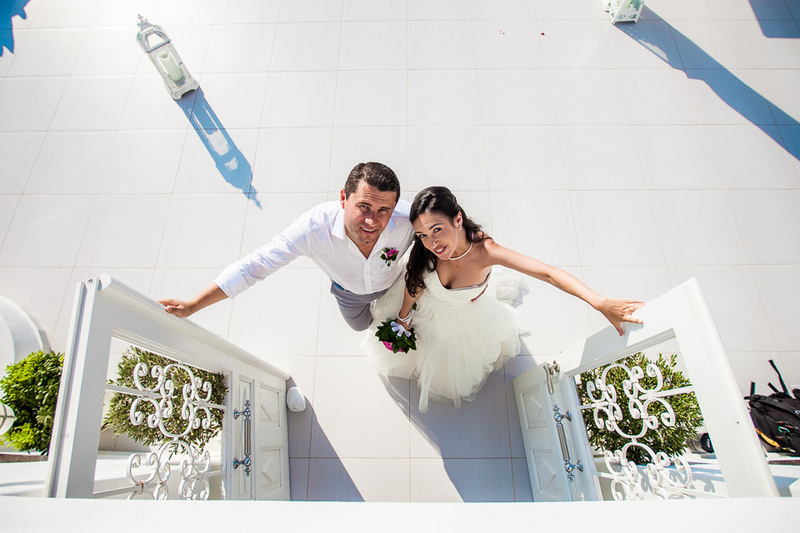 A beautiful bride Valeria and her charming significant other Vladislav asked Alexander Hadji to take over their Santorini wedding photo shoot. 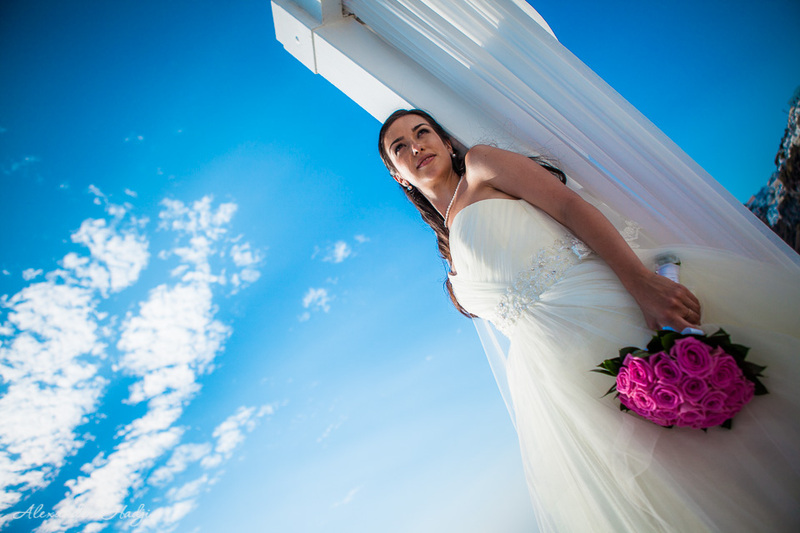 The photos proved to be outstandingly gorgeous! 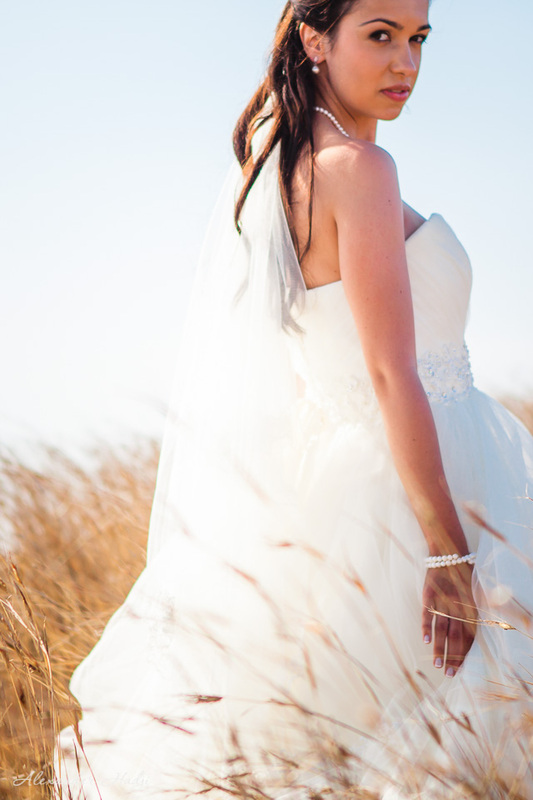 Scroll down to see them all! 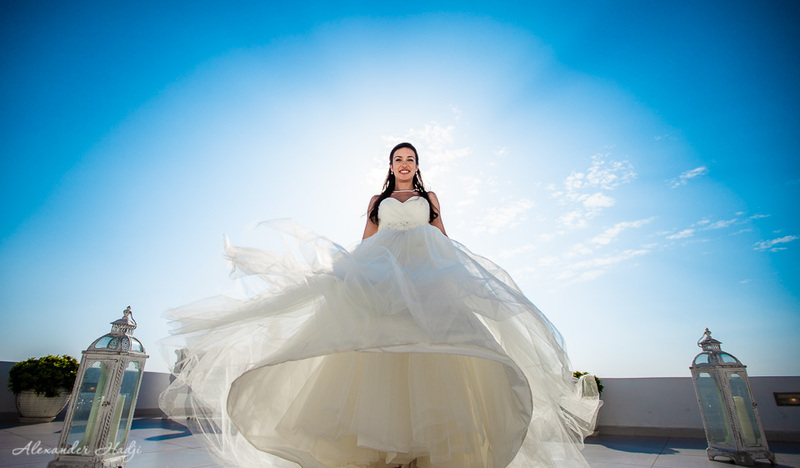 Almost every wedding photography starts with capturing the bride’s prep moments. 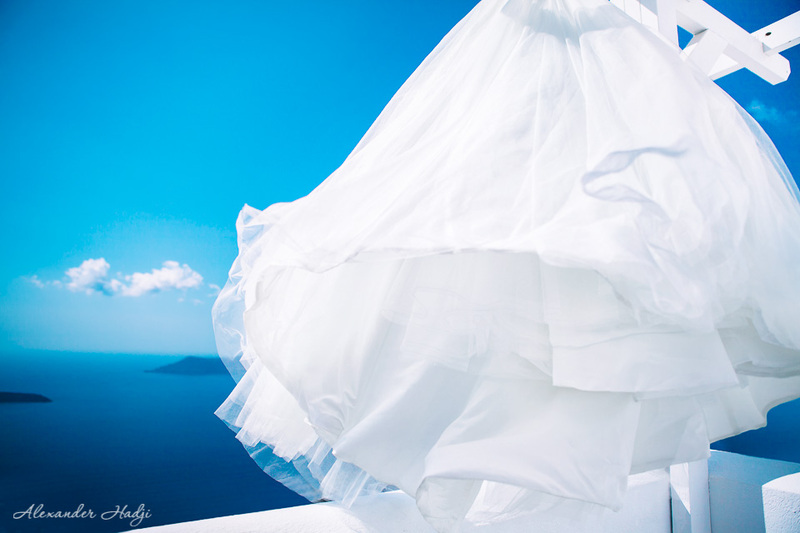 A bridal gown flying beautifully in the Santorini breeze, light make up touches, shiny shoes and of course wedding rings make a wonderful and romantic part of any Santorini wedding photo shoot. 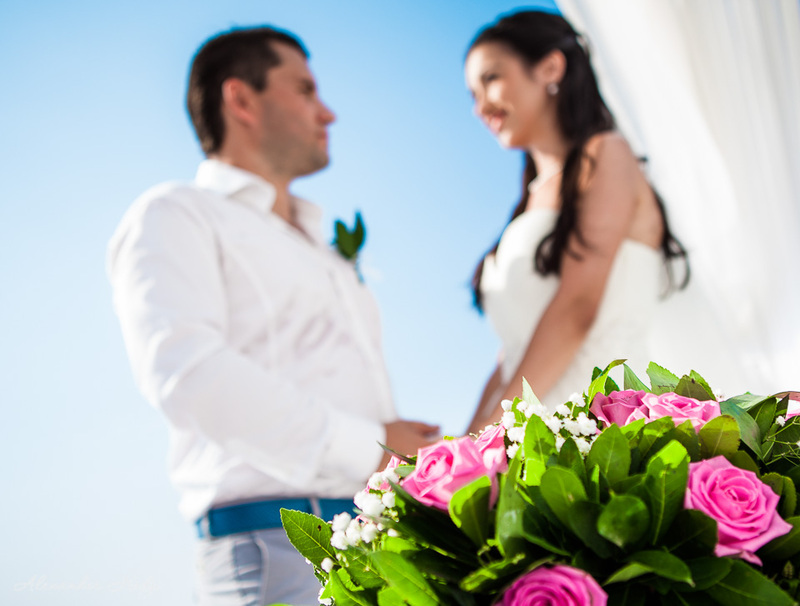 So did Valeria’s and Vladislav’s wedding details. 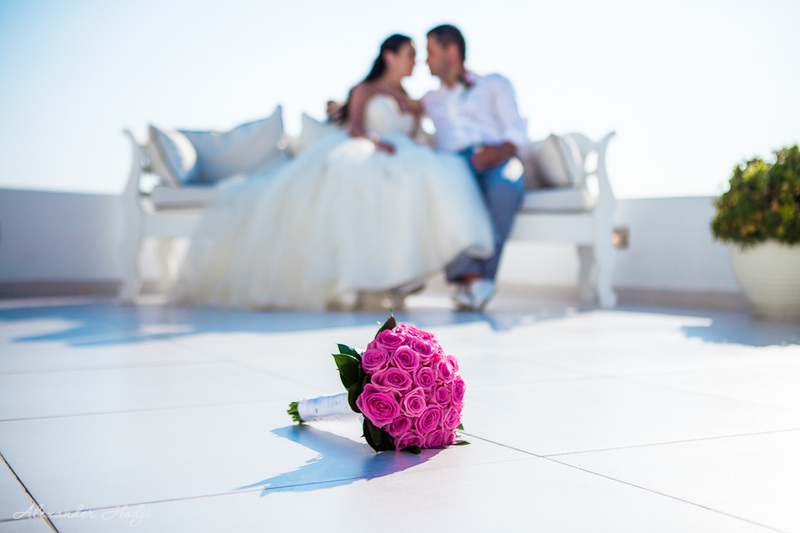 Are not they simply stunning? 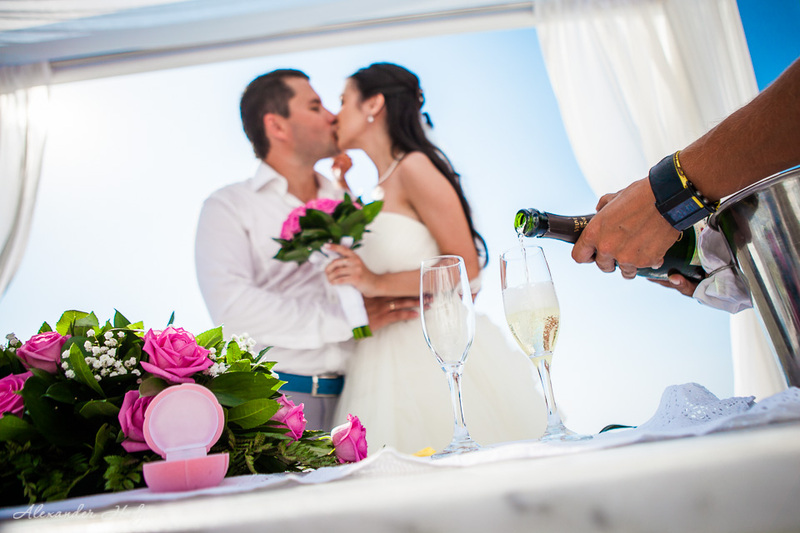 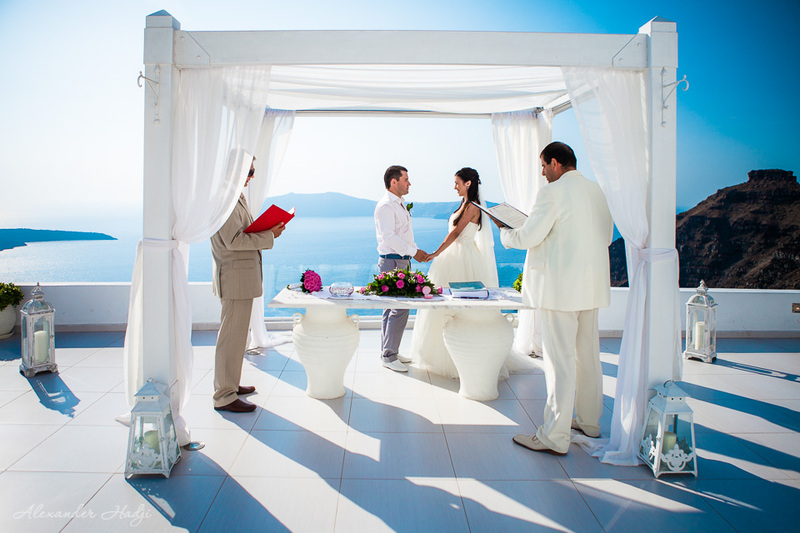 The wedding ceremony took place in a famous wedding venue Dana Villas. 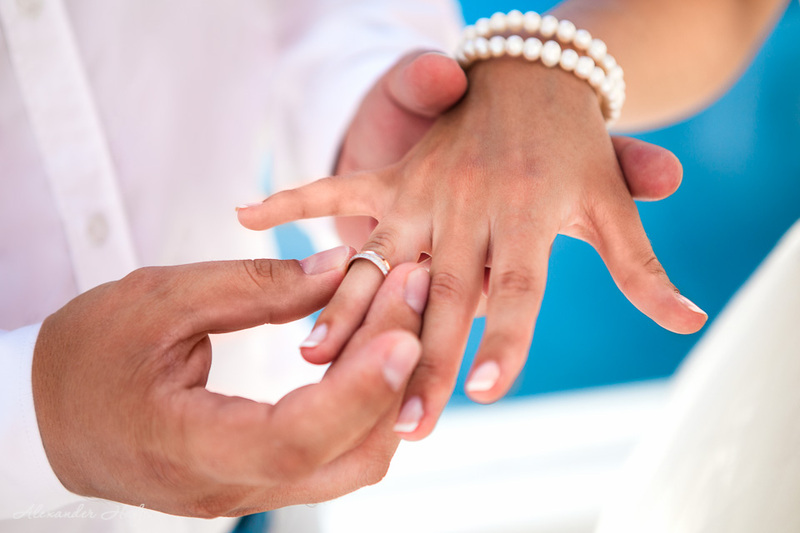 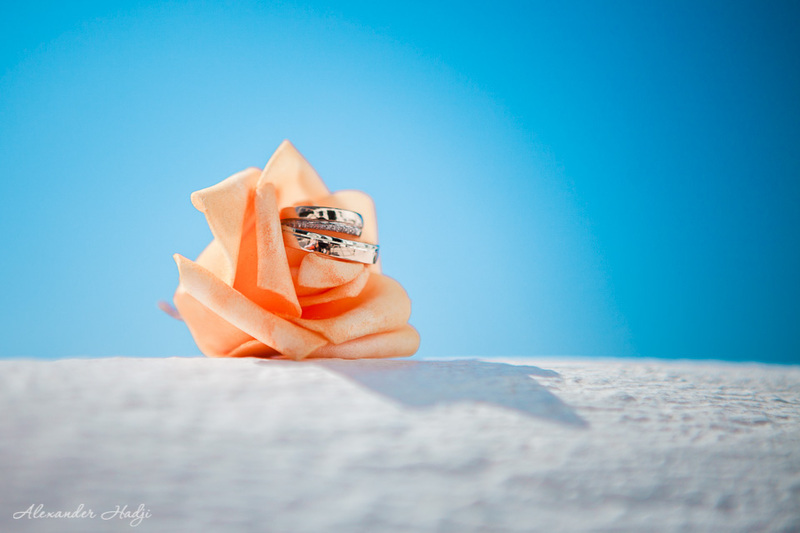 Here Valeria and Vladislav exchanged vows alogn with the rings and signed the wedding certificates thus having tied the most significant knot. 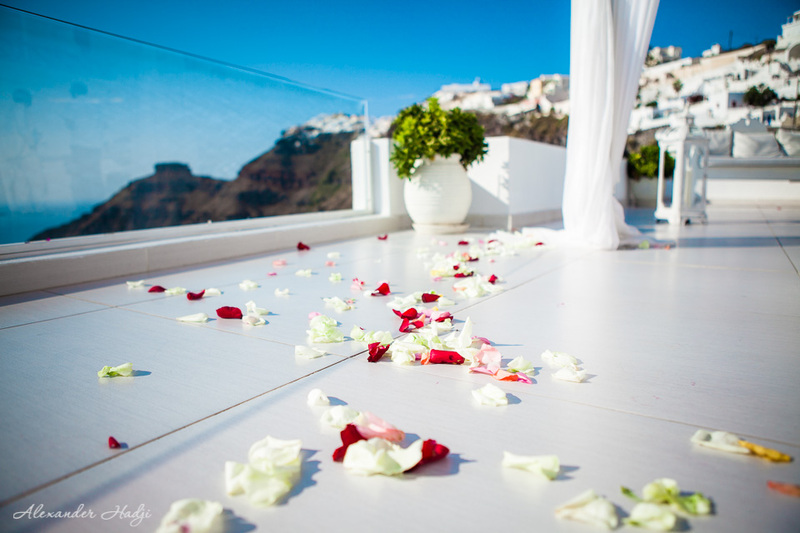 Rose petals were flying in the air as love and romance did. 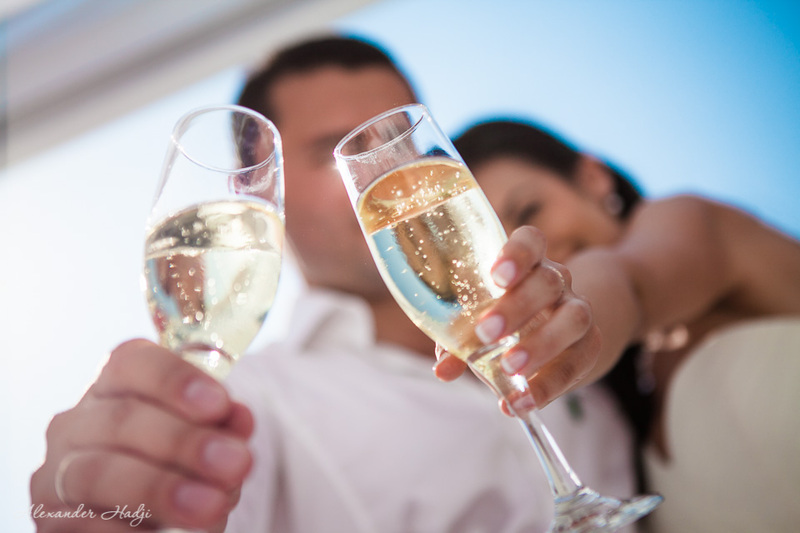 After having some champagne the couple and their photographer had some time to make additional pictures at the venue. 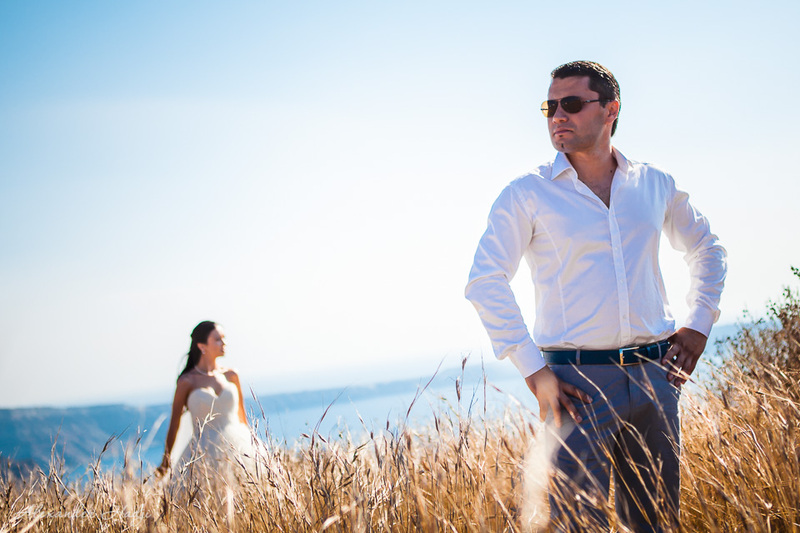 When the official part of the wedding was over the trio took a stroll along Firostefani and Imerovigli. 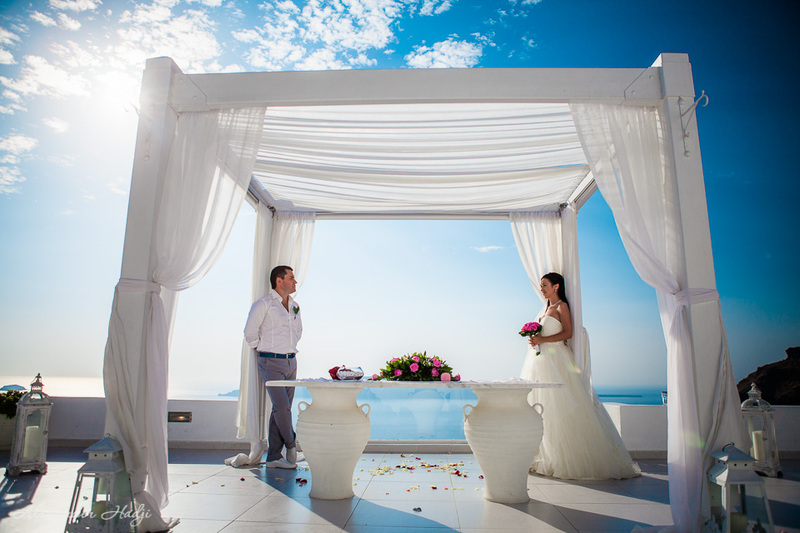 Cosy corners, romantic spots and breathtaking views made a gorgeous background for the photo shoot. 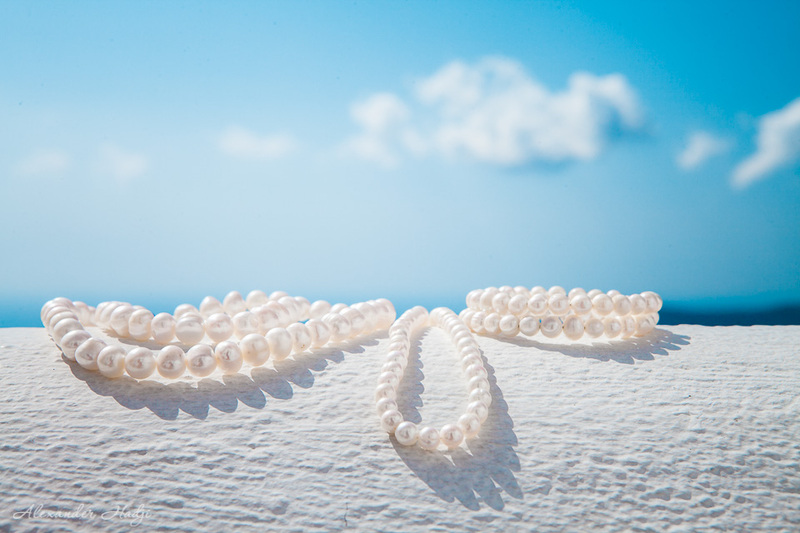 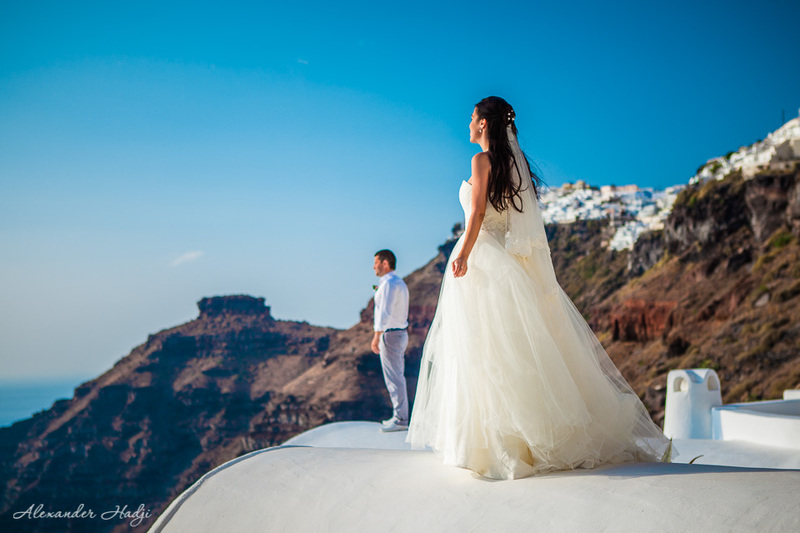 Scroll down the page and enjoy the photos made by destination wedding photographer in Santorini Alexander Hadji. 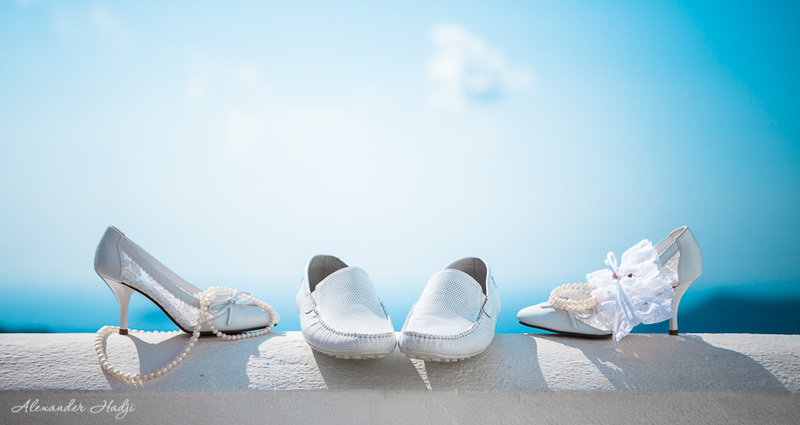 To book your destination wedding photography Santorini, Greece by Alexander Hadji please email info@hadjiphoto.com, make a call to +306951661016, send a message on FB or leave your contact details to get a call-back from the photographer.